I discovered my love of vegetables as a toddler ‘helping’ my grandfather plant and dig potatoes, carrots and green beans in his small suburban garden. Although he passed away when I was only two years of age, his passion for growing things, and glee when he held vegetables he was responsible for producing was an early part of my subsequent vegetarian commitment, and reinforced my transition into the Vegan world some years later. 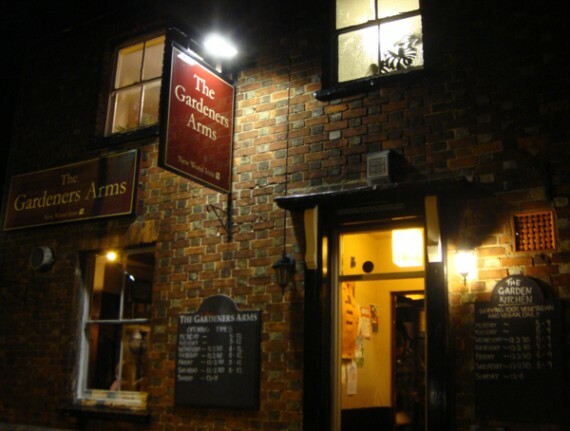 For me, it’s therefore very fitting that the one of the UK’s few entirely vegetarian pubs should be called The Gardener’s Arms, and my love of the great institution that is the English Pub is no secret! So, imagine how pleased I was on a recent trip home to be able to visit The Gardener’s Arms, and I enjoyed absolutely wonderful vegan pub food like never before. 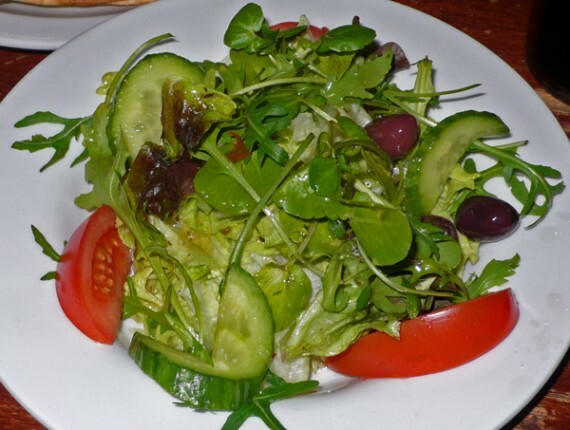 Now, vegan dining in the UK is fairly ubiquitous — there are lots and lots of great vegan, or vegan-friendly restaurants to frequent (usually before or after a visit to a pub). With The Gardener’s Arms, though, you get the entire experience all rolled into one. On a basic level, The Gardener’s Arms is a traditional English Pub, complete with fireplaces, friendly bar staff, comfortable couches and even a house dog that had its very own chair to sit on! However, the menu is entirely vegetarian and most dishes either come vegan or can be prepared vegan upon request. The menu is an interesting intersection of traditional pub fayre – burgers, sausages, chips (fries for you Americans), pies and vegetables – and exotic stuff like Thai curry, Tapas and Flatbread Calzone. Well, after a long day of driving in the rain we were completely famished so were ready to pig out and drink up. The restaurant part of the pub is officially called “The Garden”, but it’s fully integrated into the pub so you can order everything from the bar. In the usual style, we started off with a couple of choice ales, before ordering a combination of traditional pub food and a couple of dishes from the more eclectic side of the menu. I almost had to pinch myself when I inquired if the food contained dairy or egg – I got a kinda snooty “of course, your food is entirely vegan”, which to me is always a good sign. Indignation over an accusation of dairy/egg content is one great litmus test of how serious a place about catering for vegans. Anyway, on to the food. 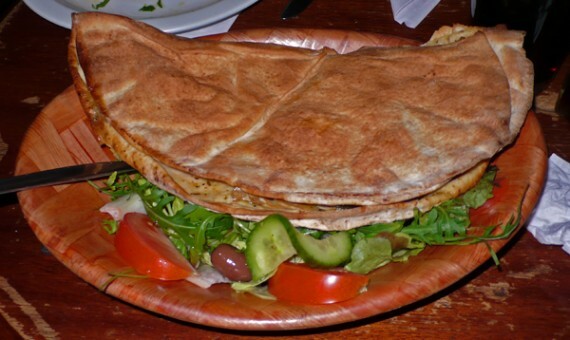 We started with Garlic Flatbread and a Side Salad with Pita. Well, OMG! The Garlic Flatbread was crispy on the outside (clearly griddled with some form of vegan butter), but creamy on the inside, just like it is supposed to be. We ate it so quickly, but I can still remember the taste and texture: Perfectly garlicky, crunchy and gooey. I think it’s the best garlic bread I’ve eaten since becoming vegan. The Side Salad deserves little mention, because it was exactly what you’d expect: crunchy, fresh salad with olives and pita bread. Moving on to the main dishes, my burger and fries were awesome. 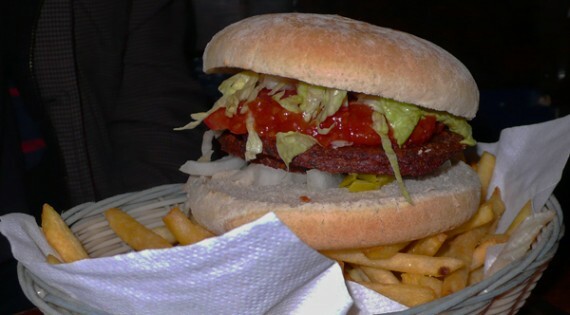 Served in a floury bap with all the trimmings, it wasn’t fancy or anything — in fact, its simplicity and “back to basics” approach (as you can see in the picture) were its defining characteristics. Yeah, it had fries too, and they were surprisingly clean tasting — clearly because they were never fried in the same oil as chicken, fish and god knows what in that contamination tank called a “deep fat fryer”. 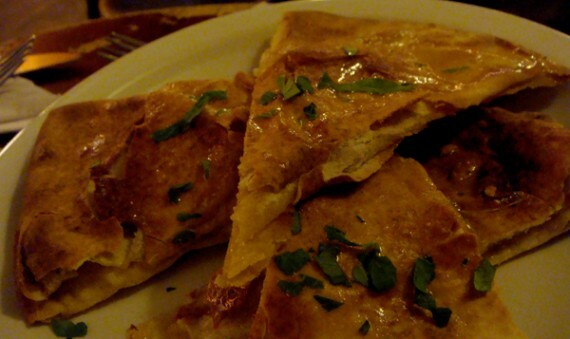 Our other main dish was the Flat Bread Vegetable Calzone. The bad news is that is looked like a repeat of the Garlic Flatbread – I mean, it was a doppelganger for our appetizer visually, but tasted quite different. It had, like, a million vegetables in it with that similar creamy sauce as the Garlic Flatbread, but the end result was a completely different type of taste. Even though it didn’t claim to have any kind of vegan cheese inside, it had a most cheesy kind of texture, something that’s rare for us vegans. For most visitors to the UK, The Gardener’s Arms is off the beaten track on the outskirts of Oxford, some 60 miles outside London. If you find yourself with a spare day in London, Oxford makes a nice day trip (the train journey is about an hour), and it really is a beautiful town with lots to see and do. 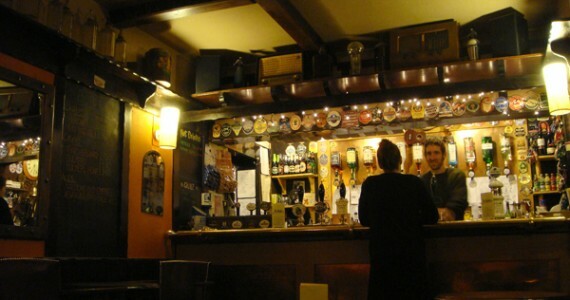 If you’re looking for a bit of Old England, with great vegan food you might not find better than The Gardener’s Arms. Map of the pub after the jump. What a wonderful name for a vegetarian pub! Oh man, a veg pub sounds like the best thing ever! Come to SF & let’s open one here! great find, I hope I can make it over there some day. Looks like a great pub. First time I have ever heard of a vegan pub though. No pork scratching or pickled eggs!? Im shocked.